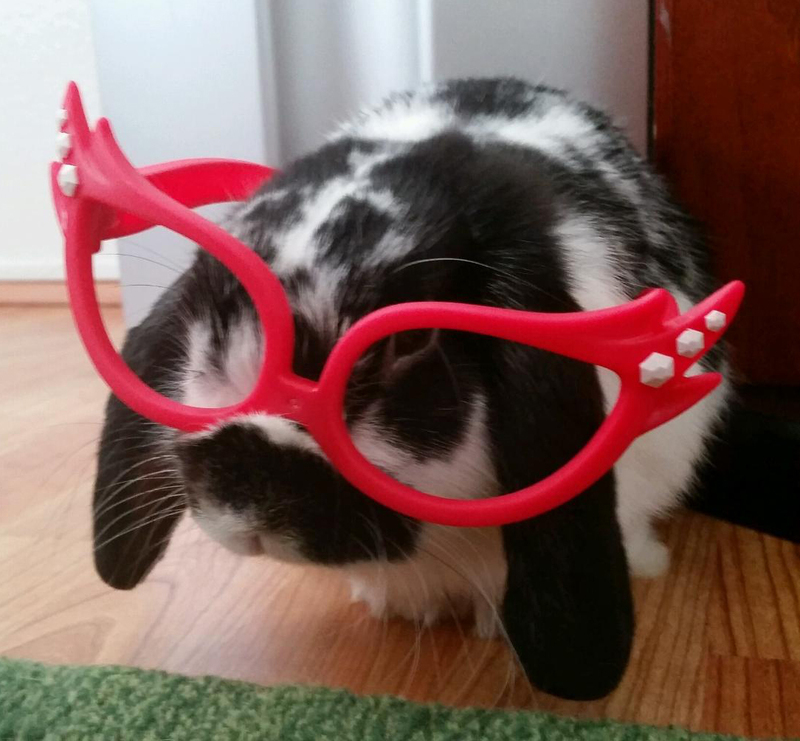 “Stache,” a one-year old lop-eared rabbit of a fellow co-worker, compliantly wearing her daughter’s glasses. His name is short for “mustache,” because of the band of black fur across his face. ← Maybe the Mongoose Did It? Didn’t think he would let her put the glasses on him but he did and let her do it over and over again!!! !….soooo funny!!!!! !